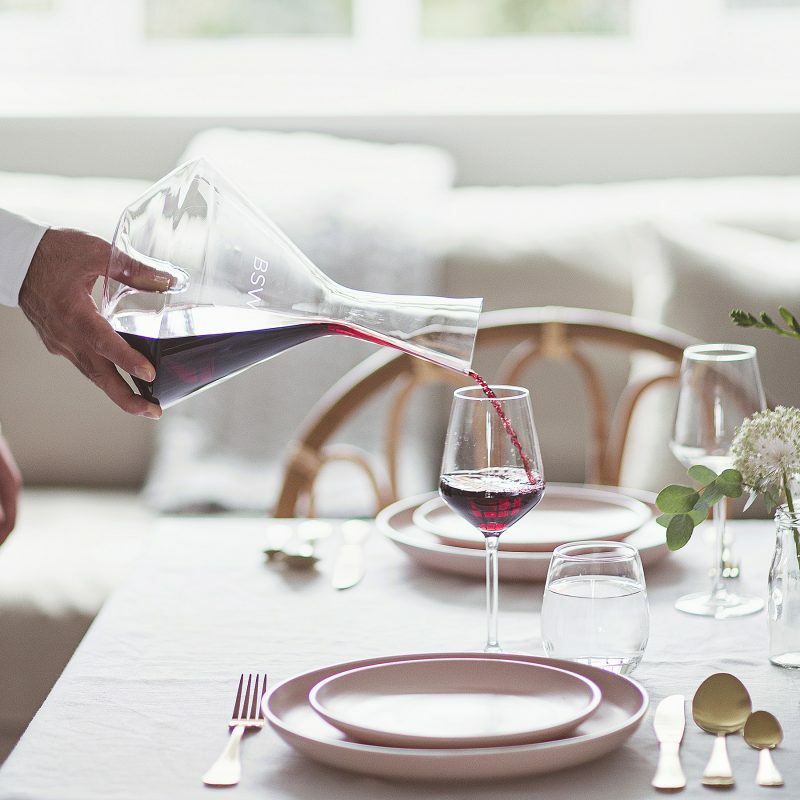 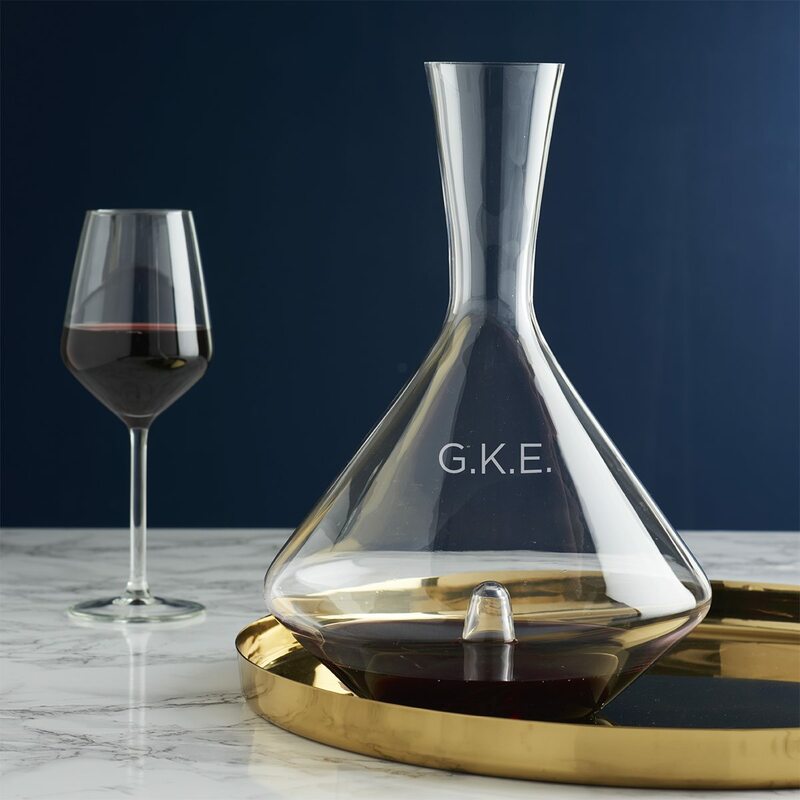 This personalised wine decanter is a stand out piece which would be an extra special housewarming gift for friends or a retirement gift for a wine lover. 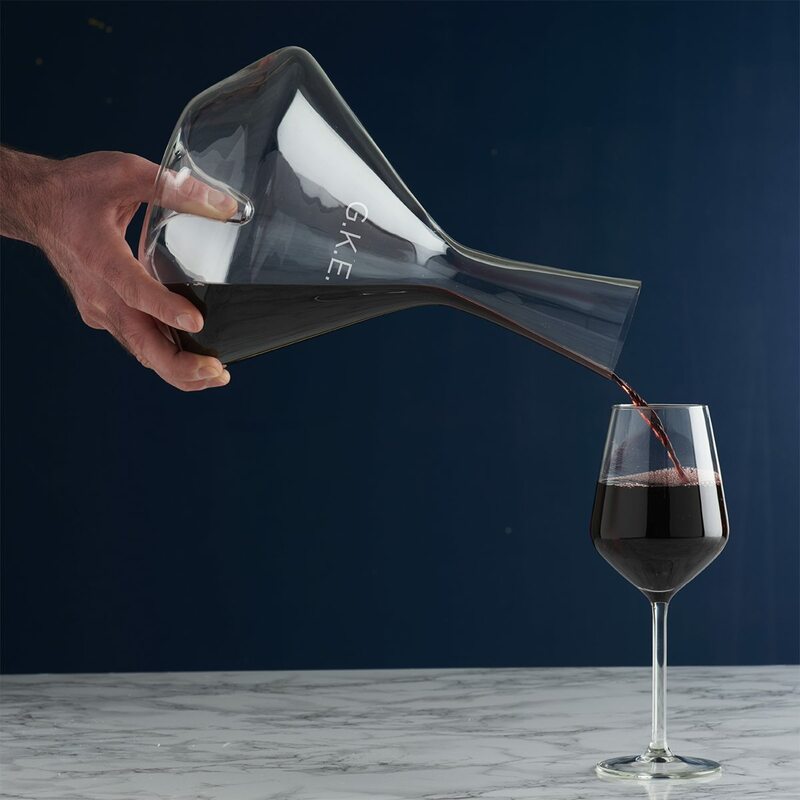 The decanter is handmade and has been moulded at the base with a hollow for the thumb to help you expertly pour your wine. 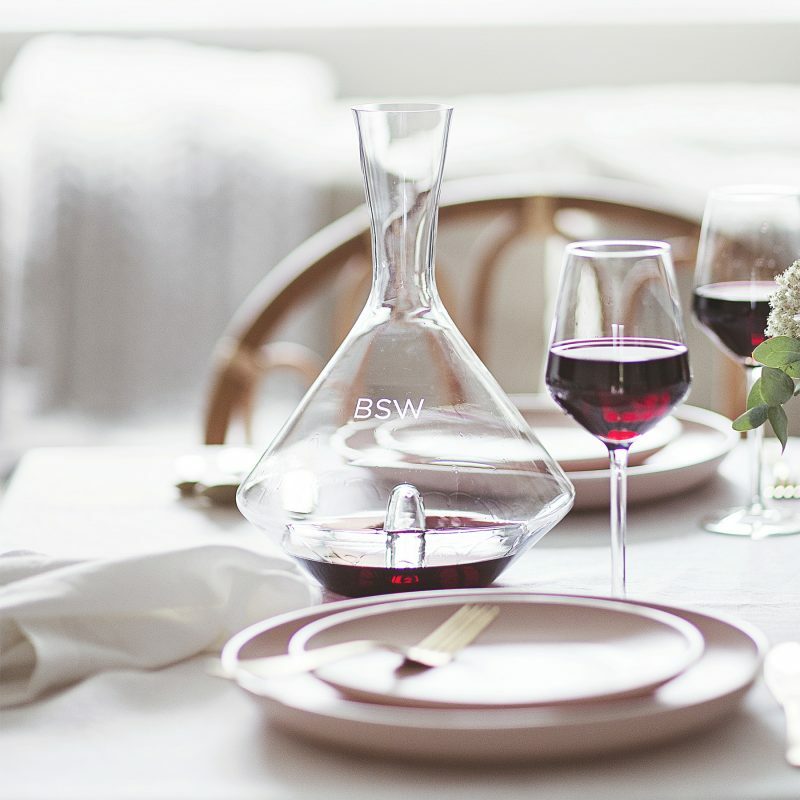 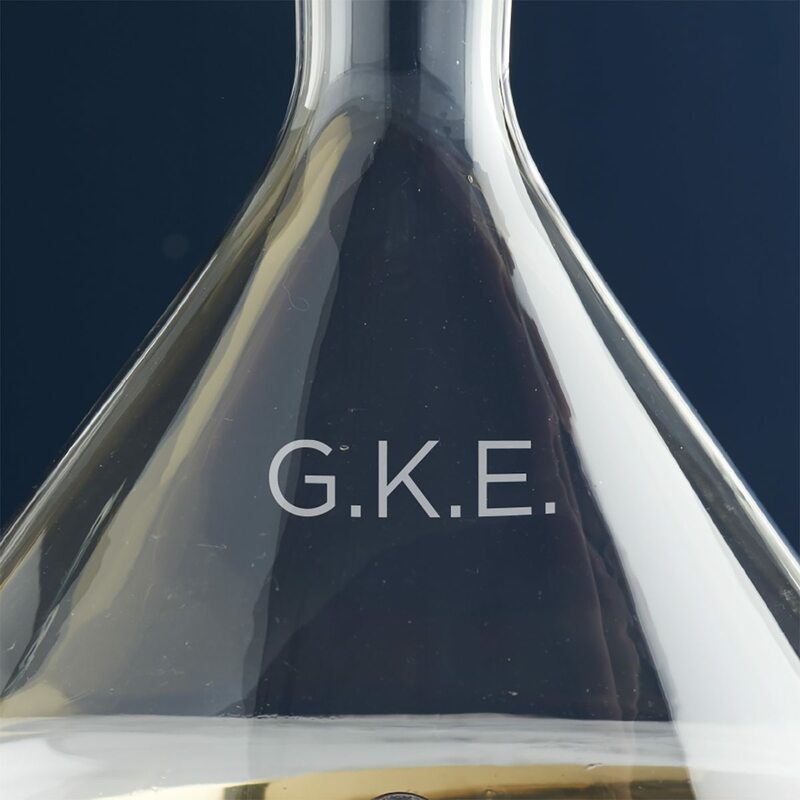 You can personalise the decanter with up to six characters which will be etched in a simple uppercase font. This character limit is including any spaces or punctuation such as full stops. 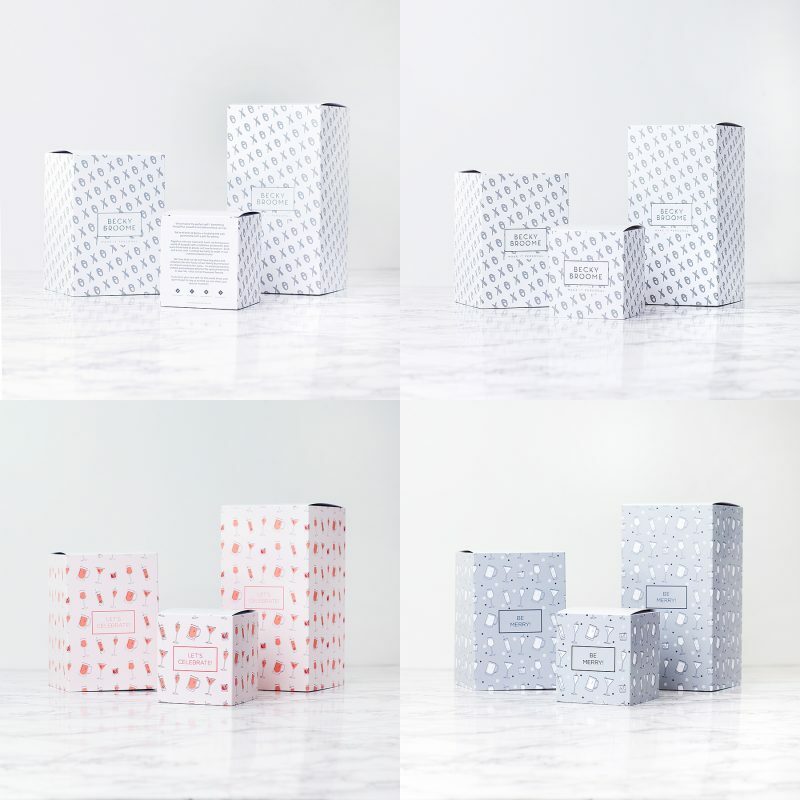 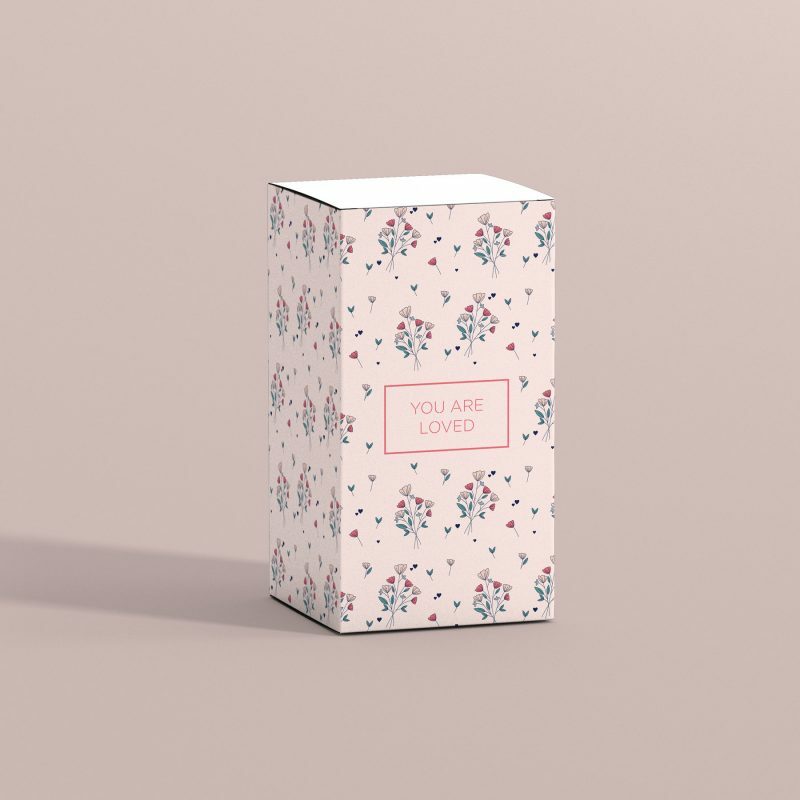 Please double check your personalisation as we will etch exactly what you enter in to the personalisation box. 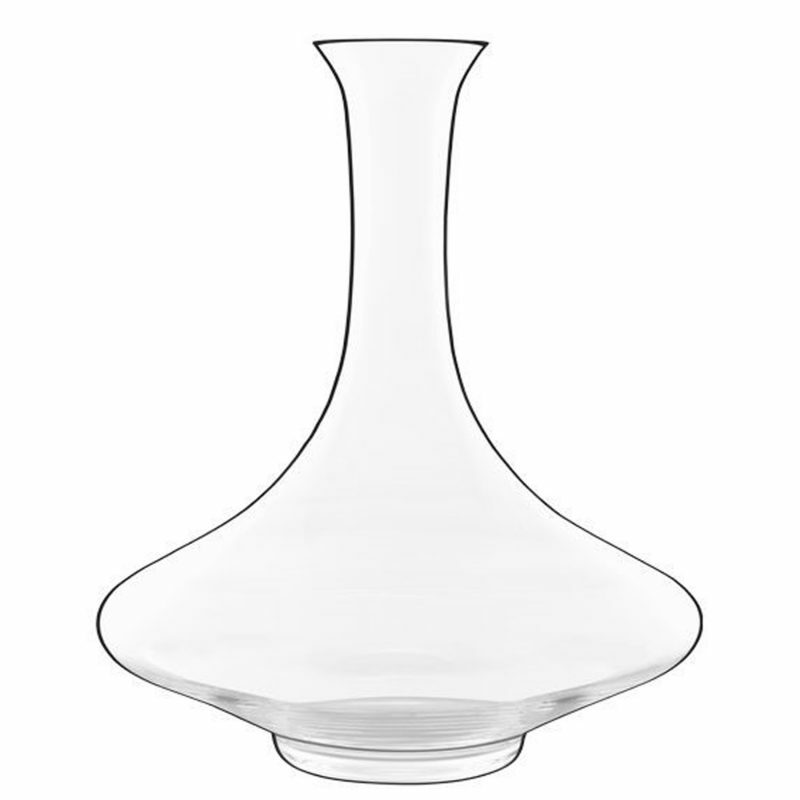 Each decanter is hand etched to order in our studio in Liverpool. 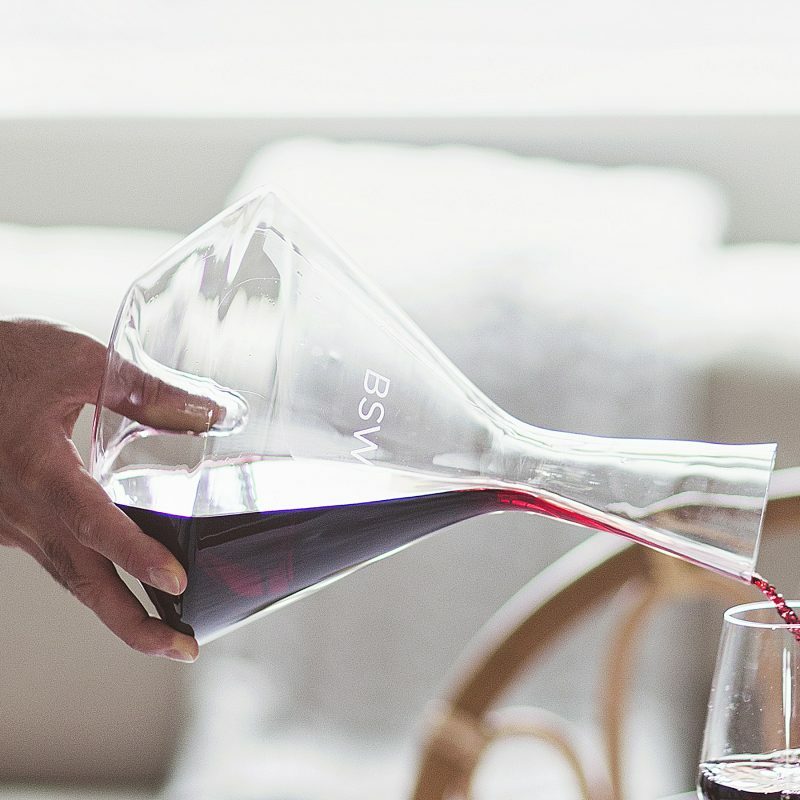 As standard, the decanter comes wrapped in bubble wrap and is sent in a bespoke postal box.